Captain America: Civil War is coming. It’s one of Marvel’s biggest movies yet and when you’re talking about big movies, you have to talk about IMAX. Especially when the filmmakers shot some of the movie with IMAX cameras. Now, a new poster sets up the war that’ll take place on IMAX screens May 6. We’re excited to debut this exclusive IMAX poster for Captain America: Civil War. 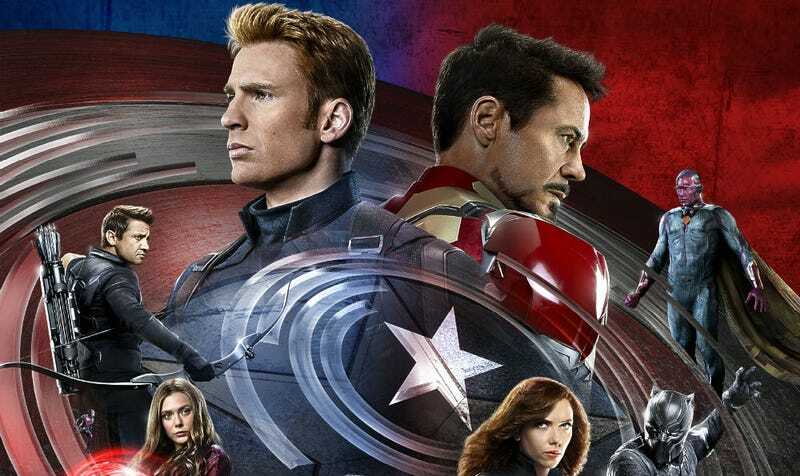 For the most part, it features both Team Cap and Team Iron Man in all their movie poster glory. Missing are a few key figures, but it’s still an eye-catching poster. The early buzz on the film is really good, and you have to imagine the epic airport battle that’s been teased in the trailers is will just look amazing in face-melting IMAX.